Design and launch of messaging app for “deskless” teams. Yapster chat sets out to solve a lack of communication options for frontline customer service staff to engage with their colleagues, managers, realise ideas and swap shifts in a secure online community. My task was to design an MVP mobile app from the ground up working closely with The Breakfast Club staff, addressing their needs. Having the team’s input into the process was central to designing and validating our progress. We had a productive design-led introduction, discovering what the team felt was essential for communicating efficiently with colleagues, and what the constraints currently were with using platforms like Facebook and Whatsapp in the work environment. This focussed the goals and simplicity of the app to base our testing around. 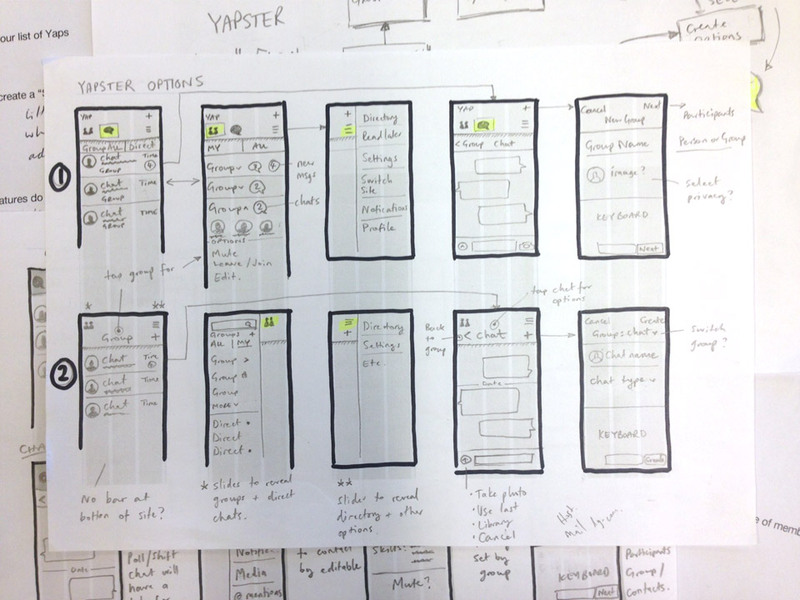 At several stages we tested our mockups and prototypes with a range of staff members (on different handsets!). With each participant consistent questionnaires or tasks were asked or set to gain qualitative feedback. This allowed us to work well informed of the team’s needs in quick iterations. By using the app to communicate with each other on the development side we gained even more insight of the power and limitations, realising the MVP into the app stores within three months. Having great access to users was integral to a great output, although it was a challenge to meet product expectaions straight away. The Yapster team are now scaling up inhouse and continue to work closely with their users. Group visual identity redesign for London based legal recruitment specialists.